CMRLS News: Be Your Best Self in 2019! Scott County's Distinguished Young Woman of the Year Olivia Triplett is presenting the "Be Your Best Self" program at the Forest Public Library on Tuesday, January 22 at 6:00 p.m. Triplett will be discussing five points of being 1) healthy, 2) ambitious, 3) involved, 4) responsible, and 5) studious. The program, aimed at teens, is offered in connection with the library’s newly-formed TAB organization. Triplett serves on the library’s Teen Advisory Board and part of this service includes planning programs for teens. Brandi Parker, Youth Services Librarian, explains that the active members of the Teen Advisory Board must meet certain requirements to qualify for a $1000 Friends of the Forest Public Library scholarship to be awarded in May 2019. Parker explains that members must attend monthly meetings, assist in planning and participate in programs, and volunteer in the library to be considered eligible for the scholarship. For more information on tonight's program, please contact the library at 601-469-1481. 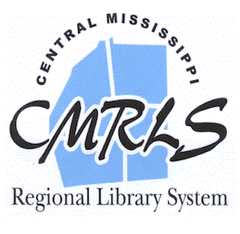 The Forest Public Library is part the Central Mississippi Regional Library System serving public libraries in Rankin, Scott, Simpson and Smith counties.